Is tea or coffee still a part of your everyday routine? If “yes”, it’s time you switch to a healthier beverage, Green Tea. Green Tea is produced from the leaves of Camellia sinensis, a flowering shrub. Originated in China but used throughout Asia, Green Tea is quite extensively used. The multitudinous array of green tea consumption includes medicinal, cultural and social aspects. One of the most popular drinks nowadays, Green Tea has a plethora of benefits that help rejuvenate the whole body. From weight loss to an effective heart problem remedy, from skin care to cancer prevention, Green Tea has proved its worth in healing numerous health problems. So, grab a cup of Green Tea, and by the time you finish reading its benefits, you will affirm it a restorative, magic drink. A rich source of antioxidants, Green Tea escalates fat oxidation and the rate at which body converts food into calories, both of which aid in weight loss. So, to fight the contemporary problem of obesity, along with healthy diet and exercise, Green Tea works like magic. Brewing 2-3 cups of Green Tea will give you the apt amount of nutrients you need to lose weight. Regular Green Tea drinkers have comparatively lower risk of cardiovascular diseases, like heart diseases and strokes. It averts formation of clots, a primary cause of heart attacks. Green Tea contains tannins which naturally lowers cholesterol in the body. The antioxidants present in Green Tea reduce the absorption of glucose in the blood, which in turn helps in managing blood sugar level in the body. Type-II diabetes, which is afflicting people worldwide could be controlled with Green Tea. Read more about ‘6 foods that lower blood sugar’ to keep Diabetes in control. Catechin, an antioxidant found in Green Tea, destroy bacteria and viruses that cause throat infections, decay and other dental problems. It prevents bad breath, dental caries, and oral cancer, thereby maintaining gum health and keeping your teeth strong. 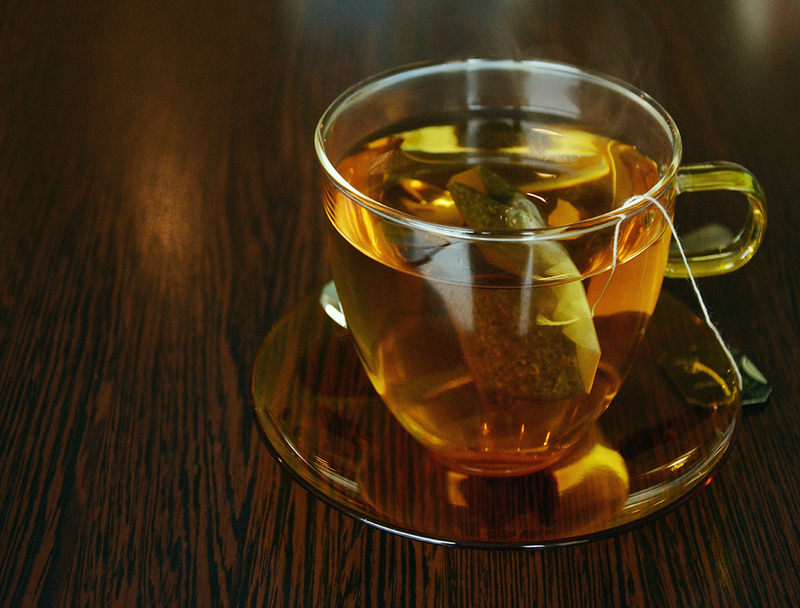 Green Tea contains amino acid called theanine, which helps in relieving stress and anxiety. It works as an anti-depressant. Therefore, people who drink Green Tea daily are less likely to be inflicted by depression. Also, the scant percentage of caffeine present is a boon for people facing stress-related issues. You can have up to 4-5 cups of Green Tea in a day to reduce symptoms of depression (we discourage prolonged intake of so much Green Tea). Green Tea prevents brain cells deterioration, and revitalizes the damaged cells. Regular consumption will have affirmative results on delaying the damage caused by Alzheimer’s and Parkinson’s. Altogether, Green Tea helps us to age in the healthiest way. The various benefits of Green Tea help in smooth and healthy pregnancy. Lowered blood sugar levels, controlled blood pressure and aversion of hypertension are some of the benefits of Green Tea. It also strengthens immunity that help in managing different health issues during this period. Apart from the above mentioned benefits, Green Tea also helps in achieving healthy, radiant skin, eliminating stomach issues, promoting healthy liver and improving hair quality. So, now you know how magical Green Tea is for your skin, body and inner health. Replace tea with Green Tea to take your first step towards a healthy lifestyle.